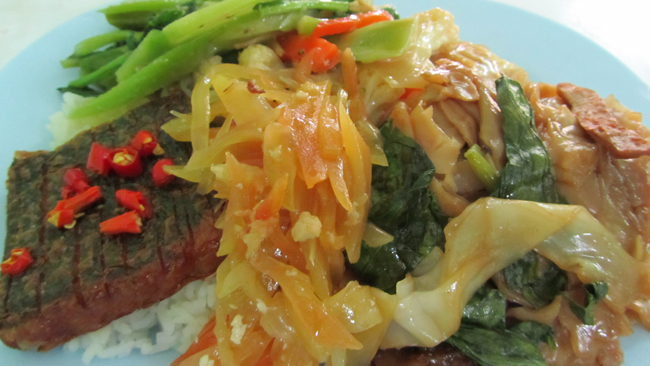 Vegan Food Quest: Veggin’ Out and About In Southeast Asia! 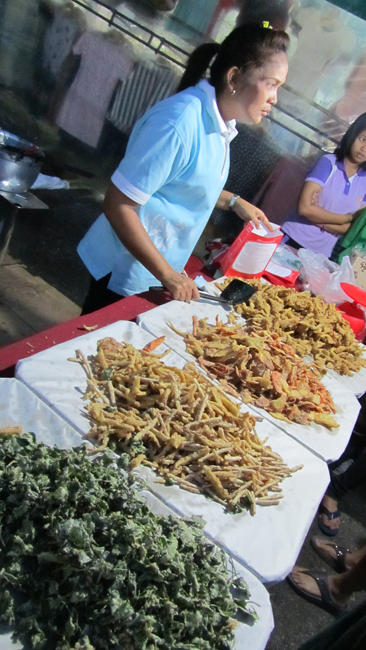 VEGGIN’ OUT AND ABOUT IN TRANG, THAILAND! Our first stop was a town called Trang. 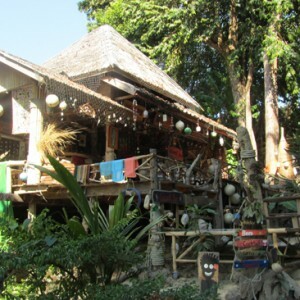 Trang is not a usual destination for most tourists, other than to stop over for one night on their way to one of the nearby islands. However, TravelMush and I had fond memories of a visit over a decade ago and decided that we’d stay longer than is usual. 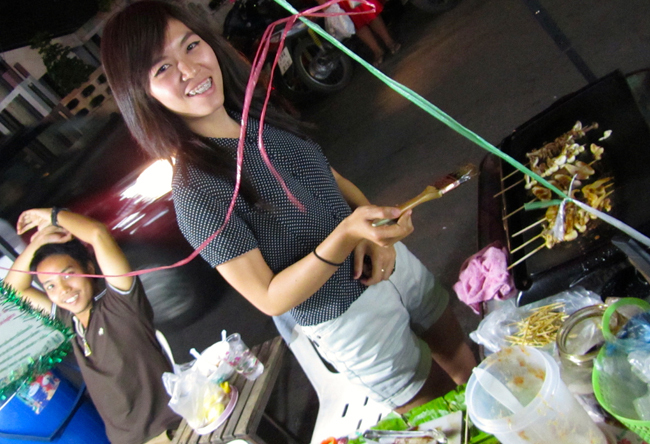 Trang is an ordinary Southern Thai town and I wanted to see how hard it might be to be a vegan in this sort of place. 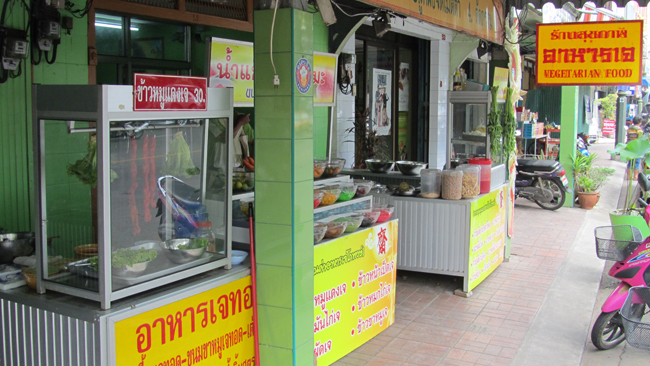 It turns out that it is as easy being a vegan in your average Thai town as it is in Bangkok (well, nearly). Just around the corner from our hotel (I use the term loosely to avoid visions of grandeur that do not apply.) there was a small, super friendly, 100% vegan restaurant. You can imagine my excitement when we wandered in to this little oasis to see a whole variety of curry, noodle and vegetable dishes on display in big stainless steel trays. A smiling Thai lady ladled our choices onto a big piles of rice. In most towns like Trang, where there is a Chinese-Thai population, there are these kinds of restaurants where they make mock meat or tofu laden versions of local favorites to enable people to enjoy an animal free diet for spiritual reasons. Fine with me! The food itself was great, packed full of flavor and texture, although I had reservations about some of the more realistic looking dishes. The mock tuna steak went a step too far for me but TravelMush volunteered to try it and reported back that it was uncannily good. We visited our new local restaurant daily and during the Chinese New Year witnessed the coming out of celebratory dishes – whole mock meat ‘chickens’ (with formed heads, crowns and faces) and ‘fish’ with imprinted scales and ‘eggs’ made entirely from tofu and stewed in traditional curries. As lovely as the food was, I simply can’t eat what I call ‘fake food’ every day. Plus, our new local favorite was only open until lunchtime, so we headed straight for Trang’s daily night market to see what else was on offer. Here, amongst the stalls selling clothes, hair and phone accessories and DVDs, there was vegan food to be found! 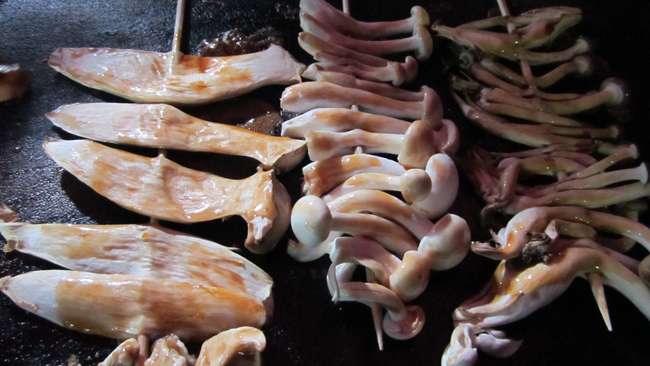 Every night we’d walk around the night market sampling anything that was plant-based: chargrilled exotic mushrooms, freshly shucked sweetcorn, heaps of oyster mushroom, taro, or morning glory tempura, piles of steamed green veggies as well as little sweet and savory deserts wrapped in banana leaves. 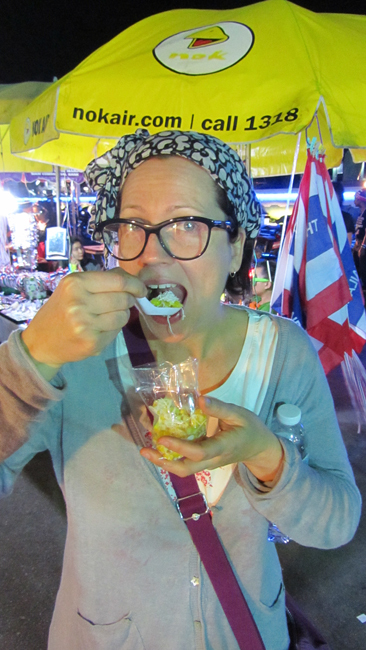 Not to mention the Thai street food classic, mango sticky rice, made with the sweetest, juiciest mangoes. 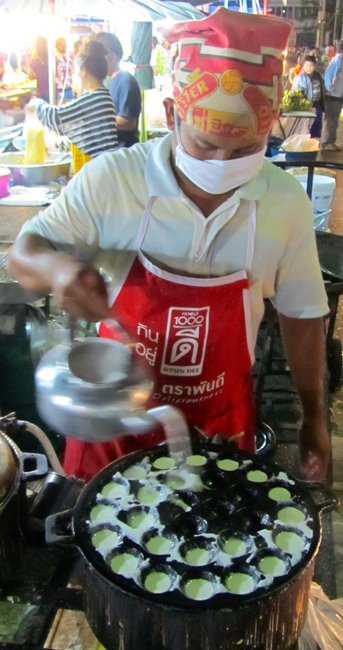 My ultimate discovery was called Khanom Krok. 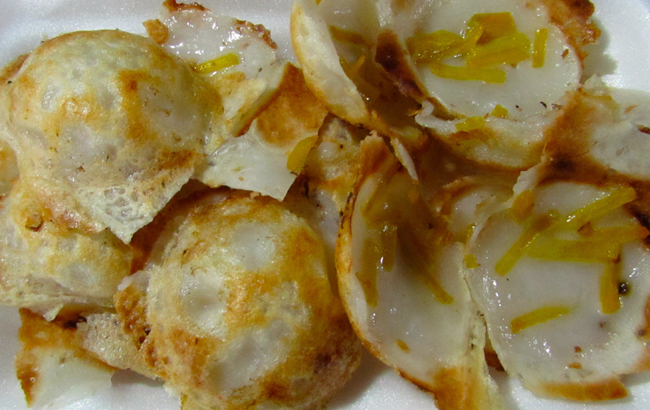 These coconut custardy pancake delights, made with rice flour, coconut milk, sugar, and salt became a Vegan Food Quest preferred treat during our time in Trang. I could spend hours watching them pour the batter from a tea pot into the special pancake molds. There seemed to be amazing vegan food at every turn, whether it was at the mall or on the street, in a restaurant or little bar, it seemed this town was overflowing with vegan food just waiting to be sampled. After, of course, the obligatory hand waving, broken Thai, pointing debacle that has become my standard form of communication. Why had I been worried about being vegan when traveling away from home? All continued to go well until I got carried away and thought I spied tofu skewers from one vendor and negotiated the deal. Walking away with my little plastic back of tofu and chili sauce, my vegan radar was telling me that something might be wrong. Something was too good to be true. I took a bite of my tofu skewer only to find that it was in fact some kind of processed chicken sausage which is very popular in Thailand, for reasons that are unknown to me. I was distraught. It is hard for a lot of people to understand, but I was deeply upset, not only by having eaten an animal, but it was such a poor quality concoction of processed meat products. I convinced myself that food poisoning was the only natural conclusion to this disaster and returned home disheartened. This was what I had feared, at best an inability for people to understand veganism and at worst, understanding what I was saying but deciding not to respect my choice in return for a quick profit. Either way the result was the unfortunately the same. When you’ve made a conscious decision to live life differently, it can be very hard when you are faced with a situation where you feel your choice has been compromised. The next day I felt more determined than ever to find good food that was animal free. Our next stop after Trang was the beautiful island of Bulone Leh. On an island where everything has to be brought in by boat, I was concerned that I might not find a good variety of food options. 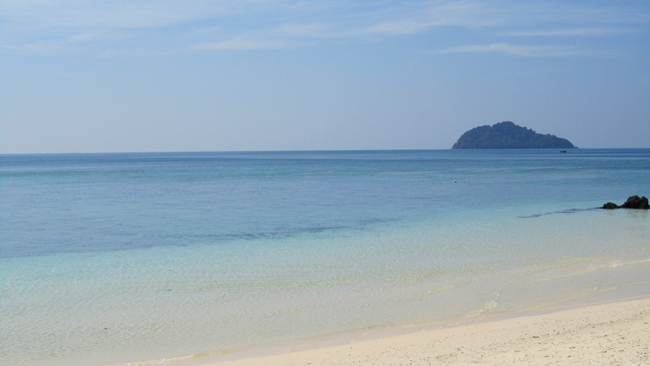 Although we had visited the island before, we had never stayed as a long as a month. 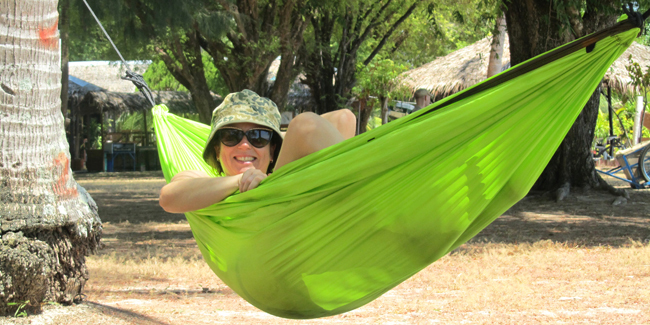 With our hammocks packed in our bags. and with a serious lust for some island relaxation, we set off on the speedboat from the mainland. 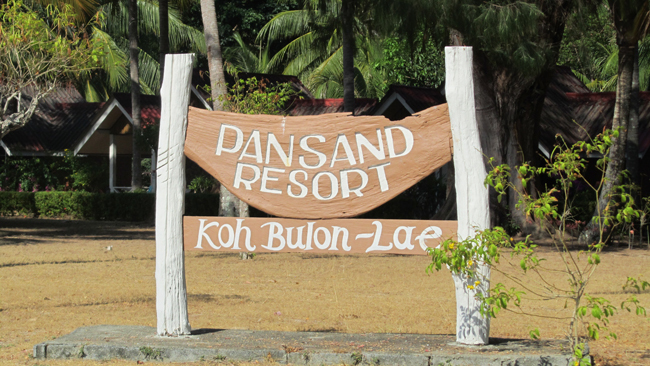 We stayed at a lovely resort called Pansand, where the staff really took the time to tell me about Thai food. They made for me vegan versions which excluded fish sauce, shrimp paste and meat or fish stock (which are the usual ingredients that find themselves into dishes labeled as vegetarian). I enjoyed spicy green curries, creamy with coconut milk, and laced with chilies and Thai basil. We also had fresh vegetable stir fries laden with green vegetables, tofu, and cashew nuts, as well as sumptuous ‘thick curries’ fragrant with kefir lime leaves. The more the locals realised how interested I am in food and how excited I am to try new things, the more they want to surprise me with little treats. One of them was ‘Gui Chi’, special Chinese-Thai dumplings stuffed with garlic chives or sweet crunchy biscuits. 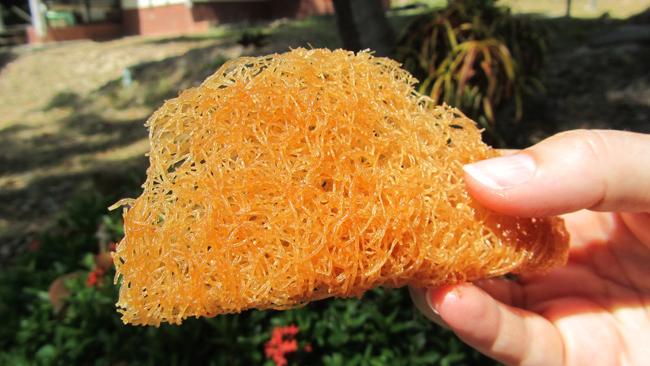 that looked like delicate birds nests and tasted like sweet air. 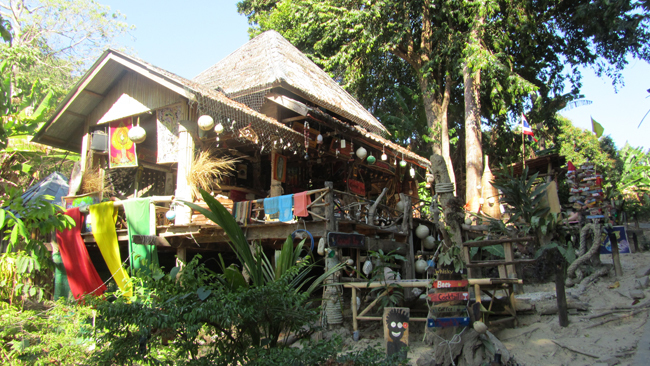 Elsewhere on the island, my love affair with Thai food continued. I devoured fresh green papaya salads, sweet with palm sugar and spicy with fresh chilies. I savored every minute of a vegan version of Laab salad, made with tofu (instead of meat), tossed with fresh mint and coriander, garlic and shallots and ground up roasted rice. These are dishes that are hard to get vegan versions of on the mainland, in the South of Thailand, but being in a place that is used to western tourists certainly helped me eat like the locals as much as possible. VeganMush Caryl has recently left her beloved home in England to brave new worlds in search of adventure and exotic vegan foods throughout Southeast Asia. 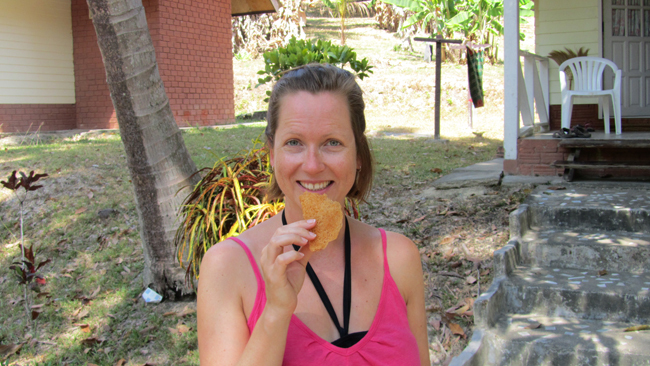 Join Caryl as she goes Veggin’ Out and About through Southeast Asia! 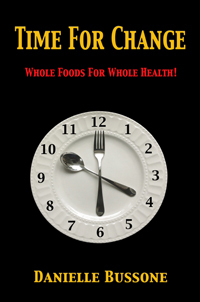 Check out Caryl’s blog!